What's better than a pastrami sandwich? Free pastrami in honor of this beloved TV show. 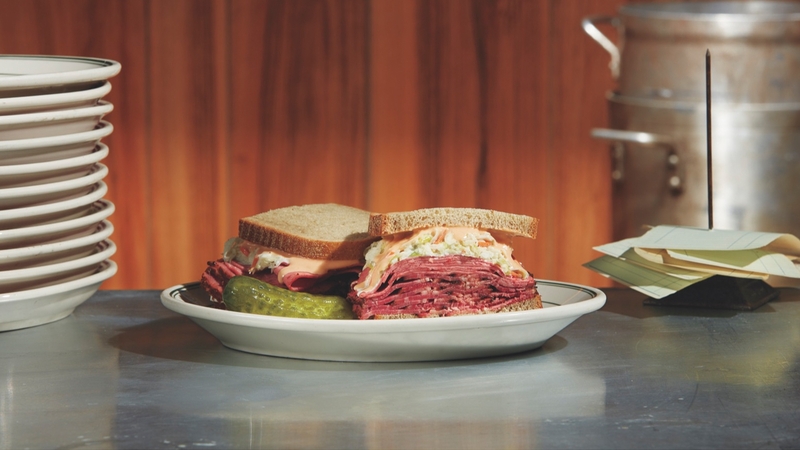 As part of a marketing campaign for Amazon Prime’s The Marvelous Mrs. Maisel, the network has teamed up with iconic Jewish delis across the country to serve free pastrami sandwiches. Yes, you read that correctly: free pastrami sandwiches! And The Marvelous Mrs. Maisel! Together! The Marvelous Mrs. Maisel is a comedy that premiered last year on Amazon Prime, centering on a Jewish housewife, Midge Maisel, in the 1950s who stumbles into the world of stand-up comedy after she finds out her husband is cheating on her. It won 8 Emmy Awards earlier this year (it was nominated for 14! ), and it’s arguably the most Jewish show on television. Here in New York, we had the opportunity to try the sandwich (nicknamed the “The Maisel”) at the Carnegie Deli pop-up in downtown Manhattan. The pop-up, which re-opened the closed Carnegie Deli for a week, had a waiting list of over 6,000 people. The prices of the sandwiches were 99 cents — and proceeds were donated to The Lower Eastside Girls Club. 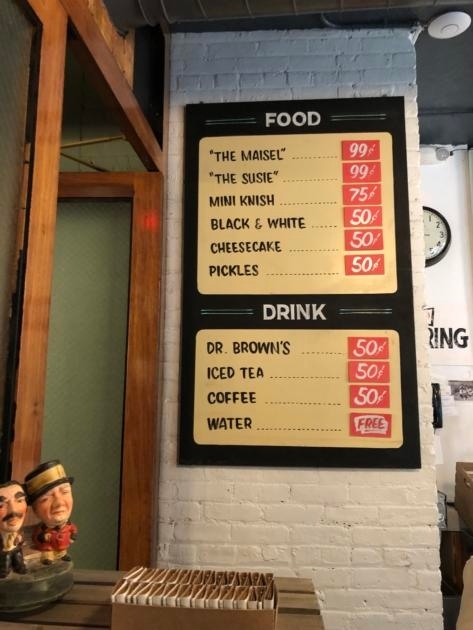 The pop-up menu had six items — two sandwiches, a knish, a black and white cookie, a cheesecake, and pickles — but we’re here to talk about the pastrami sandwich, a.k.a. “The Maisel.” “The Maisel” sandwich is on rye bread, with pastrami, salami, slaw, and special sauce. 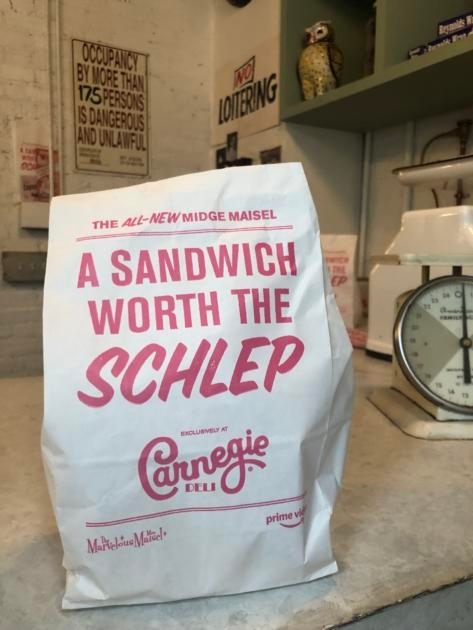 Enjoying “The Maisel” sandwich today at the @carnegiedeli @amazonprimevideo @maiseltv POP UP! Check out more in our insta stories. But “The Maisel” sandwich isn’t just for New Yorkers. At new Jewish deli Mamaleh’s in Boston, 50 visitors will get “The Maisel” for free each day between December 9 and December 14. In Los Angeles, at Canter’s Deli, 50 free sandwiches will also be given away daily between December 9th until the 16th, and the same deal is will be offered at Manny’s Deli in Chicago.